The latest version of VSDIF adds a native support for 64 Bit operating systems. While VSDIF was already running on a 64 Bit operating systems it had limitations that were applied from the Windows operating system itself – for example 32 Bit applications are limited to using only 2GB of system memory regardless of the memory available on the system. The new version can utilize all the resources of a 64 Bit operating system and perform much faster and handle larger image collections. Preserving group integrity is now optional and can be toggled in settings. This feature was enabled by default in the previous versions of the tool and was not configurable as breaking the grouping of the images may lead to confusion and the user may end up deleting all files from a group. Due to requests from our users we have made this feature optional, but it should be used carefully. Though it may be dangerous to use, it comes handy in certain cases. 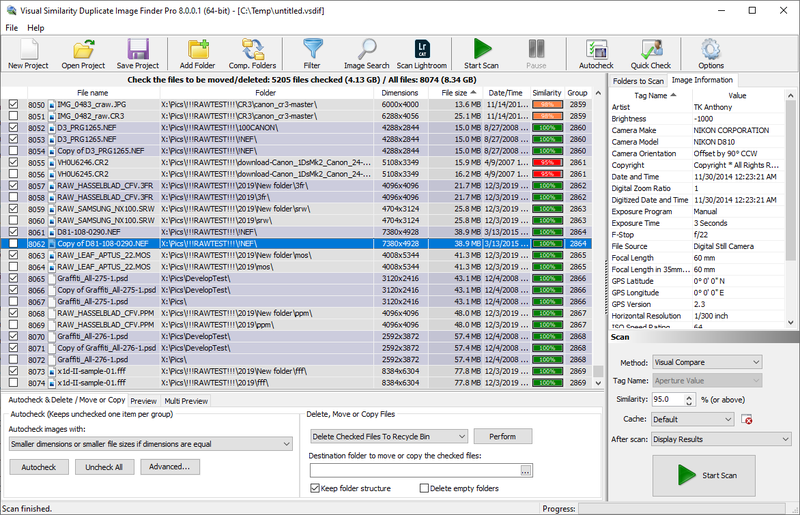 For example one can sort files by folder name or other property, select all items with the desired features in the list and use the context menu to check them all. The “Match full path” option is introduced in the advanced auto-check options. In past versions only file names could be matched. Ticking the option will match the specified pattern against the entire file path which makes it easy to exclude folders with specific names or containing specified characters. 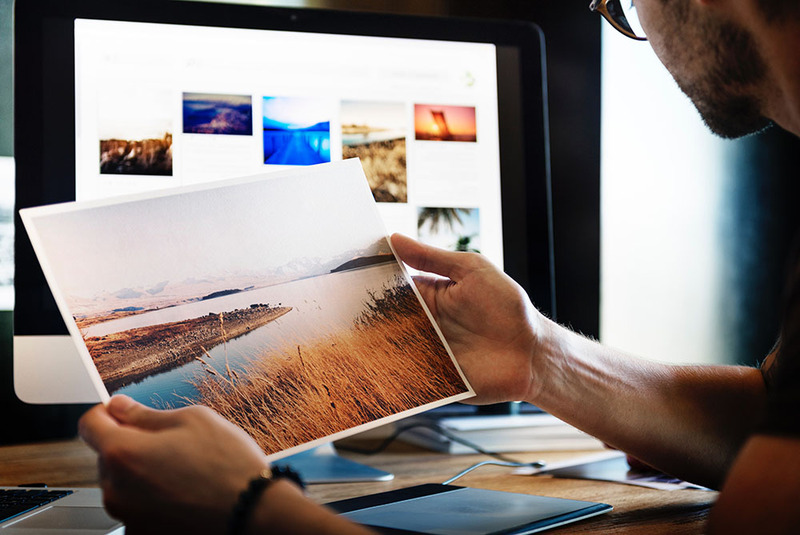 The processing time of JPEG, PNG and JPEG2000 is optimized and is around 30-40% faster than before, but it can reach up to 50% in certain cases. Unfortunately this applies only to the decoding and not to the loading time which is limited by the speed of the storage where the images are located. Please comment below if you miss a feature or you have a suggestion for improvement. We value our customers and we will be glad to hear from you! This entry was posted in Visual Similarity Duplicate Image Finder and tagged 64 Bit Duplicate Image Finder, 64 Bit Duplicate Photo Finder, Awesome Duplicate Photo Finder, Best Duplicate Photo Finder, Best Duplicate Photo Finder 2017, Best Duplicate Photo Finder 2018, Best Duplicate Photo Finder 2019, Best Duplicate Photo Finder 2020, best free duplicate file finder 2018, best free duplicate file finder 2019, Best Free Duplicate Photo Finder Windows 10, Duplicate Photo Finder 2019, Duplicate Photo Finder Open Source, Duplicate Photo Finder Windows 10, Duplicate Photo Finder Windows 7, Duplicate Photo Finder Windows 8, Find Similar Images 64 Bit, Find Similar Photos 64 Bit, Find Similar Pictures 64 Bit on January 27, 2019 by MindGems Support.